Debt Drama Could Be Another Blow To Housing Housing industry insiders worry that if political theatrics continue much longer, investors could lose faith and push up interest rates, which would severely restrict millions of Americans' ability to qualify for loans. 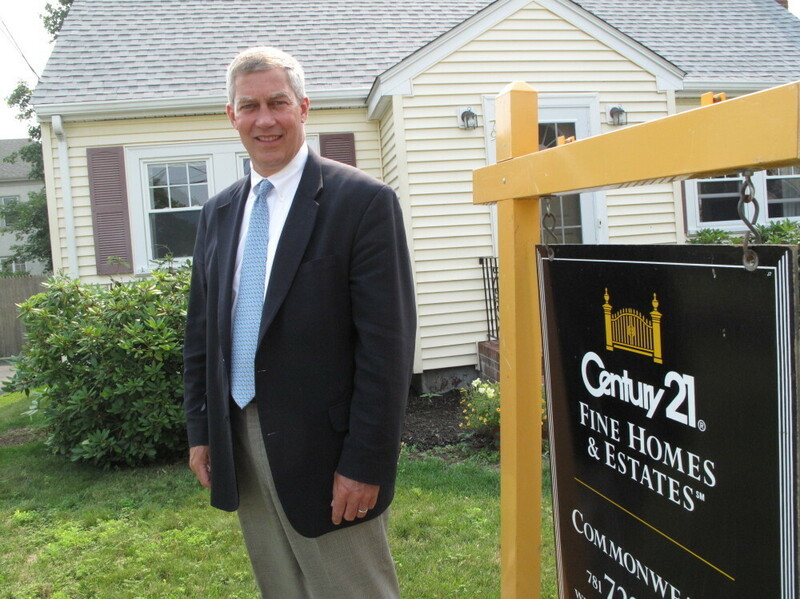 Patrick Fortin, owner of Century 21 Commonwealth, which has 500 real estate agents in the Boston area, says the uncertainty over the debt ceiling is hurting the housing market since it's making people nervous about the economy. Members of Congress appear closer to reaching a deal in the ongoing drama over raising the nation's debt ceiling. The economic stakes are high, and top investors and executives at major companies have been putting increasing pressure on lawmakers to strike a deal. Take the housing market for example: Industry insiders there worry that if the political theatrics continue much longer, that could spook investors, drive up interest rates, push down home prices and hurt the economy. Right now, interest rates are low, and that means the government can borrow money cheaply to finance its huge debt load. Likewise, many home buyers can get low mortgage rates, which is a rare bright spot for the beaten down housing market. "Rates are unbelievable, they've been unbelievable for a while," says Patrick Fortin, who runs Century 21 Commonwealth in Boston. "It's a huge factor, it's kept the market from being in much worse shape." Fortin, who has 500 real estate agents and 18 offices around the city, has been watching the ongoing political fight over the debt ceiling. He thinks it's hurting the housing market and other industries because lawmakers are making many Americans nervous about the economy. "I'd like to see them get it done and work it out and move on," he says. "You know, whether you're selling cars or hamburgers or houses, when people are concerned that we could have major economic issues, it impacts everything. Buyers don't want to buy if they think there's bigger issues out there." Many economists agree that consumer confidence is taking a hit from all this. Their other big concern is that investors have been starting to get nervous, too. And it's possible that that could end up driving interest rates higher, which would not be good at all for Fortin's mortgage business. That is our worry: We think housing is fragile, it's very easy to break and very difficult to fix if you break it. My biggest personal fear is that the Congress, in trying to get a good headline, accidentally breaks the housing market and you want to avoid that desperately. "Oh, there's no question, any sort of bump is an impact, a substantive bump would be dramatic," he says. Here's how this would work: If the debt ceiling isn't raised, the U.S. Treasury could default on its debts. The Treasury says it would run out of the money it needs to make payments on some of its Treasury bonds. "Treasuries are essentially the holy of all holy credits," says Scott Simon, one of the top bond investors at Pimco, which manages more than $1 trillion on behalf of pension funds and other customers. He says financial markets are based on trust, and investors around the world have tremendous faith in U.S. Treasury bonds. "If the U.S. defaults, or appears like it's going to default intentionally, I think that puts huge questions into the credibility, the sanctity, the holiness of U.S. Treasuries," he says. And that means investors could demand higher interest rates to loan the U.S. government money. But it could also drive up interest rates for all kinds of things, including home loans. Simon explains that U.S. lawmakers even just flirting with default, as they have been, have already raised some scary questions in the investing world. If Treasuries are no longer sacred, what about home loans that are guaranteed by the government-backed mortgage firms Fannie Mae and Freddie Mac? What if the U.S. someday doesn't honor those guarantees? International investors have started to shy away from Fannie and Freddie mortgages, in spite of the explicit support of the U.S. government. There's talk of ratings agencies downgrading Fannie and Freddie. If more investors lose faith, Simon believes that would push interest rates way up and severely restrict millions of Americans' ability to qualify for loans. The Business Roundtable, which is comprised of CEOs of U.S. companies, sent a letter to the president and Congress urging them to put aside partisan politics and raise the debt ceiling. "That is our worry: We think housing is fragile, it's very easy to break and very difficult to fix if you break it," Simon says. "My biggest personal fear is that the Congress, in trying to get a good headline, accidentally breaks the housing market and you want to avoid that desperately." Simon says another crash in housing could bring the banking system with it. An actual default on Treasury bonds could be even worse. "It's going to have a staggering impact on the economy," says Richard Smith, the CEO of Realogy Corp., which owns Century 21 and Coldwell Banker. He says he's on the phone every day to his lobbyists in Washington who are pushing lawmakers to reach a deal. He says many other CEOs are too. "Running up to the last minute is just completely irresponsible on the part of the government. This is inexcusable," he says. "To take the entire business community to the edge. What do you think is going to happen for the past several months? Nothing. People are not investing, not making major business decisions, they're not hiring — they're holding their cards." So investors and CEOs are hoping Congress pushes a deal through quickly.